Being built in a city with a rich tradition of military history, Lake Carolina is heavily impacted by the bases in the surrounding area, Fort Jackson Army Base and Shaw Air Force Base. These historical places have aided in the creation of the city-wide atmosphere of Columbia, South Carolina. The impact, that these bases have had on our country and the individuals in it, has created a strong economic value in the area, and has caused many veterans to relocate here for retirement. It is pretty clear, when looking at Columbia from afar, that the strong military influence has shaped the city into what it is today. Let’s learn more about the nearest military facilities, Fort Jackson and Shaw Air Base. Fort Jackson is the United States Army’s main center for Basic Combat Training, and they train 50 percent of the soldiers that go through the Army’s basic training system. The mission of Fort Jackson is to provide the Army with trained, disciplined, and motivated individuals that demonstrate teamwork and the Army’s core values. To do this, they must train more than 42,000 soldiers annually. Fort Jackson is also home to the U.S. Army Soldier Support Institute, the Armed Forces Army Chaplaincy Center, the National Center for Credibility Assessment, and the Army’s drill sergeant school. The Fort Jackson community is made up of soldiers, civilians, retirees and family members, with more than 3,500 active duty Soldiers and their family members making this area their home. Fort Jackson also places high priority on caring for their retired soldiers, for this reason, they employ nearly 3,500 civilians to provide services for more than 46,000 retirees and their family members. Since 1917, when soldiers were needed for World War I, Fort Jackson has had a proud history of supporting our Army. That tradition is the same today, as the fort willingly accepts new challenges, and is ready to accept additional missions that will support the nation’s defense. The mission of Shaw Air Force Base is to provide, project and sustain combat-ready air forces. The 20th Fighter Wing, the largest combat F-16 wing, calls Shaw Air Base their home. The Ninth Air Force and U.S. Central Command Air Forces are also located here, and their mission is to project decisive air and space power for U.S. Central Command (USCENTCOM) and America. Shaw Air Base is home to more than 5,400 Air Force active members, 11,000 family members, and 600 civilians. They offer a wide array of programs for its members, including an Airman and Family Readiness Center for various services, Force Support services, Retiree Activities, and Public Affairs. Thinking about moving to Lake Carolina? Check out our list of new homes near Fort Jackson and Shaw Air Force base. Living near Fort Jackson can prove itself a special privilege, as it connects you with your neighbors in the Columbia community. Fort Jackson is constantly striving to create a sense of unity within the area, and establishes events to help carry this out. These events range from weekly fitness classes, to meetings that help children get involved in the community. Fort Jackson also holds several special events each month, to help gather interest of the nearby public. Below is a list of a few weekly events that Fort Jackson holds, as well as some of the special events that are coming in the near future. Fort Jackson is very concerned with the well-being and health of those within their community, and have created several weekly classes that are open for people to experience and utilize. They have weekly classes from Monday-Saturday. These fitness classes include but are not limited to: Circuit Training (Monday), Zumba classes (Monday, Wednesday, and Saturday), Gym-Step Fitness classes (Tuesday and Wednesday), Cardiobox (Thursday), Insanity classes (Thursday), Soul Cycle Spin classes (Friday), Yoga classes (Saturday), and Walk-it-out Speed Walking classes (Saturday). For more information on these classes, prices, contact information, and locations, see the Fort Jackson community calendar (link provided at the bottom of this article). Fort Jackson also places high priority on making a good impression on the children in the nearby area. It is clear, in Fort Jackson’s approach, that they believe today’s youth is tomorrow's future. They have set up several activities for children to learn and play together on a weekly basis. Each Tuesday, children ages 2-5 have an opportunity for story time at the library, where they get to hear stories, sing songs, and enjoy a small activity. On Wednesdays, the Bright Honeybee Explorers playgroup meets. This group is open to active duty, retired service personnel, and qualified family members. Bright Honeybee Explorers playgroup is a group designed to help children improve their social, cognitive and motor skills. This group is for parents with newborns to 3 years old children. For ages up to 12, every Thursday is a Musical Movie Thursday. This group meets from 3:30 to 5:30, and they are shown either a “G” or “PG” rated movie. Also on Thursdays, at the library, newborns through 5-year-olds are encouraged to take advantage of the Evening Story-time, where they can come to hear stories and sing songs. On Thursday July 23rd, Fort Jackson will be hosting a Budgeting, Banking, and Checkbook maintenance class. This class will explore many of the services and products offered at most banks and credit unions. It will cover areas from selecting a checking account to balancing your checkbook, and everything in between. If you have an interest in learning about these topics, this class is for you. On Friday July 24th, The Fort Jackson Army Community Service will host a Drop-In to celebrate the 50th birthday of Army Community Service. Everyone from the Fort Jackson community area is encouraged to attend this drop-in. Also on the 24th, there will be a bowling outing at Century Lanes Bowling Center for families enrolled in the EFMP program. Make sure to RSVP if planning to attend the bowling outing. There will be an Auto Craft Car and Bike Show open to the public on Saturday, July 25th. This event is free, and will be held at Patriots Park. Please make sure to register your vehicle, if you plan to show it off. On Saturday August 1st, there will be a Fort Jackson boxing tournament. This tournament is free admission. If you, or someone you know, is interested in boxing contact Mike Garcia @ 803-751-3486. If you don't know the proper techniques, it can often be impossible to keep your home cool during the summer months. In attempt to help you save on these overwhelming AC costs, we have formulated five of our most useful tips on how to stay cool without lowering the temperature on your thermostat. 1. Planting around property- A high percentage of the unwanted heat in your home stems from the direct sunlight shining through your windows and beating on your roof. To combat this, we suggest that you plant more bushes, shrubs, and trees around your property. If planted near windows, this addition to your property will reduce the amount of direct sunlight that is allowed to enter your home, thus cooling off your house without taking on the extra air conditioning costs. According to the U.S. Department of Energy, if planted to shade your AC unit, trees and shrubs can boost your efficiency by nearly 10%. 2. Screening your windows- Window screens can cut down on up to 70% of the direct solar energy that is allowed to enter your house. This is a cheap and efficient way to cut down on cooling costs. Not only do screens reduce the sunlight that is allowed to enter a closed window, they also aid in home cooling for a window that is open. They allow the breeze to easily enter, while cutting down on the heat that is consistent with solar energy. 3. Using fans for air circulation- Circulating air can cause your home to both cool off, and create a breeze that makes your home feel cooler than it actually is. If you open windows on your first floor, and place fans on the second floor, it will create the most optimal circulation of airflow in your home. If you live in a ranch home, closing the windows near the fan and opening the windows far from the fan can also create the same type of circulation in your home. Circulating air also reduces the likelihood of sweating, and helps evaporate sweat from your skin, thus creating a cooler experience for you. 4. Spending time in the basement- Have you heard the saying “warm air rises”? This is why we suggest that you spend some time in the basement when seeking a place to cool off. Being underground, and having a lack of windows, causes the basement to often be the coolest place in the house. This means that you can cool down without having to lower the thermostat those extra couple of degrees. 5. Refraining from using the oven/ stove- In order to cut down on unnecessary additional heat, we suggest that you refrain from using devices that require additional heat to function. The main culprits that we recognize for this are the oven and stove. Cooking in the oven, or on the stove, causes a lot of extra heat to be drawn. This heat, originating in the kitchen, can spread into other rooms in your house, calling for you to lower your thermostat for hours after cooking. We would suggest that you use other modes of cooking during the summer, our favorite would be to have a family grill-out. For more tips on how to become energy efficient at cooling your home, visit http://www.consumerenergycenter.org/tips/summer.html. Thinking about moving to Lake Carolina? Check out our list of new homes for sale in Columbia, SC. Whether you are looking for an experience that will get your adrenaline pumping, or an adventure you can take with your family, look no further, we have got you covered!!! Below are some places we recommend that you visit right in the backyard of Columbia. Looking to cool down from the summer’s heat? Palmetto Falls Water Park is the place for you. Hosting a 10,000 sq. ft. family pool, a splash park for the children, two large water slides, and a lazy river, this water park is a place you can spend your entire summer day. For more information on Palmetto Falls Water Park, visit http://fortjacksonmwr.com/waterpark/ or call (803) 751-3475. With zip lines going through long stretches of forest and over the Catawba River, Canaan Zipline is a must-do for anyone living in the Columbia area. The full tour offers 9 zip lines, and lasts approximately 3 hours. This zip-journey is incredibly scenic, and for a thrill-seeker, an opportunity not to pass up. For more information on Canaan Zipline Canopy tours, visit their website http://canaanzipline.com/. Do you want to try something new and invigorating? Plan a skydiving trip with Skydive Carolina. They are very reputable among the skydiving community, and are the most renowned skydiving service in South Carolina. Skydive Carolina offers a 16 jump training program and tandem dives for newer skydivers, as well as, solo dives for more experienced skydivers. To plan your skydiving trip today, visit http://www.skydivecarolina.com/. Carowinds is the premier amusement park of the Carolinas. They have a large variety of thrill rides and family rides, and also have a section called Planet Snoopy with child-friendly rides and attractions. Plan an overnight stay in the area, as there is plenty to experience over a several day period. Hands down, Carowinds is a great place to take your family on a weekend getaway. For more information, visit https://www.carowinds.com/. Hosting many miles of trails designed for walking, jogging, hiking and bicycling, Harbison State Forest is a premier spot for your outdoor sporting needs. Their trails range in difficulty, and can be used for a leisurely stroll with the family, or an intense hiking experience. Harbison State Forest also has a canoe landing which provides access for kayaks and canoes into the river. 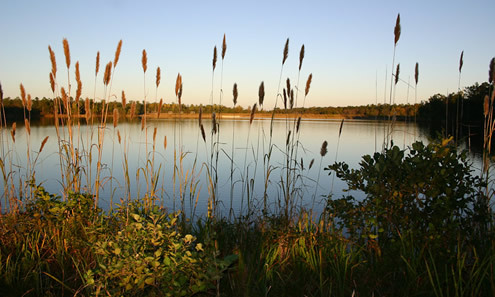 For further information on what Harbison State Forest has to offer, visit their webpage http://www.state.sc.us/forest/refharb.htm. If you are looking for a roarin’ good time, a day trip to Riverbanks Zoo may be the next trip in your itinerary. With a vast array of animal exhibits from around the world, and a 70 acre beautiful botanical garden, Riverbanks Zoo is a must-visit destination for you and your children. For more information visit http://www.riverbanks.org/.